Wholesale Closeouts Household Items Liquidation, Closeouts Household Items salvage Closeouts, surplus Closeouts Household Items Overstock, Closeouts Household Items clearance merchandise. Closeouts and liquidations of wholesale household products and household Appliances, everyday household goods and Iitems! We are a wholesale closeouts distributor with huge variety of Household Items: Coffe Pots and Dishes, Silverware and More! 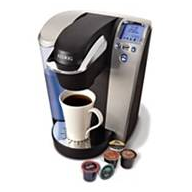 Our inventory is constantly changing with items such as: Coffee Pots, Dishes, silverware, kitchen electronics, and more. We also export out household products. Click here to request more information on wholesale household items by the pallet, piece or truckload. All at below wholesale prices! 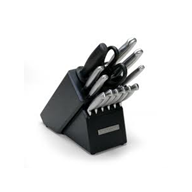 Housewares and Hardgoods from Walmart: Huge selection of mixed brand-name items, each pallet may contain a articles from Gibson, Revo, Meyer, Circulon Styne, Anolon, Farberware, T-Fal, presto, Elements, or others. Pallets may contain an assortment of cookware, glassware, silverware, pots and pans, small appliances, and many other household items. Please call for availability and special price. FOB Minn.
Amazon.com - Create Your Own Truckload! : Huge selection of categories: apparel, automotive, electronics, health/personal care, home improvement, kitchen/cooking, general merchandise, lawn/garden, office products, personal care, pet items, shoes, sports, toys... FOB Ohio. Call for merchandise availability and updated prices. J.C. Penny Mixed Housewares/Homeware: Huge selection of high-end brand names. Pallets may contain a mixture of Cookware, Glassware, Silverware, pot & Pans, Small Appliances, and many other Household Items. Each Load contains 52 pallets. FOB Ohio. Please call for merchandise availability and updated low prices!!! 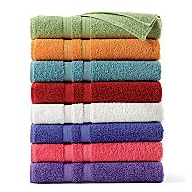 J.C. Penney Domestics/Linen Pallets/Housewares/Luggage: Huge selection of high-end brand names. Overstock and may contain returns. Pallets may contain a mixture of cookware, glassware, silverware, pots & pans, small appliances and many other household items; also bedding and comforters, comforter sets, fitted sheets, pillow cases, towels, towel sets, linen, bath accessories, luggage (including carry-ons), and other assorted merchandise. FOB Ohio. Please call for merchandise availability and updated low prices. Also sold by the pallet FOB Florida. Department Store Code # 25 Housewares/Kitchen Electronics/Small Appliances: Huge selection of Kitchen Electronics and Small Appliances: Coffee Makers, Toasters, Espresso Machines, Mixers, Slow Cookers, Irons, Blenders and more. Each truckload contains 48 pallets. FOB Florida and/or Ohio. On Sale Now!!! Wholesale Gift Items: All giftware products are brand new and all in gift boxes. Over 100 items. 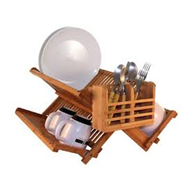 Huge variety of gift items like: canister sets, tableware, gift sets, hand painted, glass storage, deluxe salad bowls, flatware sets, CD / DVD racks, spice racks, bamboo bread boxes, fruit bowls, block knife sets, salt and pepper shakers, kitchen utensil sets, decorative wall mounts, and much more. Items retail anywhere from $20 - $50. Was $1,250. Your cost is as low as $950 per pallet. Minimum order is 3 pallets. FOB NY. Housewares From Code # 3 Department Stores: Huge selection of high-end brand names: Krups, Delonghi, Tools of the Trade, Hoover, Gibson, Revo, Meyer, Circulon Styne, Anolon, Farberware, T-Fal, presto, Elements. Pallets may contain a mixture of cookware, glassware, silverware, pot and pans, small appliances, and many other household items. FOB New Jersey, Florida and many other shipping points. Table Top/Gifts/Luggage From High-End Department Store Code #3: Huge selection of high-end brand names. Contains customer returns and shelf-pulls/overstock merchandise. 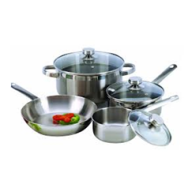 Loads may contain a mixture of cookware, glassware, silverware, gifts, luggage, crystals, and many other gift items. FOB New Jersey, Florida and many other shipping points. Order now and get the best! Chinaware and Dinnerware From Code #3: May contain a mixture of Fine china, plates, collections, and much more. Mixture of brand names may include Dansk, Denby, Fiesta, Kate Spade, Lenox, The Celler, Vera Wang, Villeroy & Boch, Mikasa, Martha Stewart, Hotel Collection, Ralph Lauren, Tabletops Unlimited, and much more. Please contact us for more details. Silverware From Code #3 Department Stores: May contain a mixture of collections, sets, sterling sliver and much more. Mixture of brand names may include Fiesta, Mikasa, Lenox, Ralph Lauren, Gibson, Kate Spade, Martha Stewart with Wegwood, Wallce, Tuttle, Reed & Barton, Vera Wang, and much more. Please contact us for more details. Mixed Truckload Housewares, Domestics and Table Top Gifts and Luggage From High-End Dept Store Code #3: Huge selection of high-end brand-name merchandise. A mixture of customer returns and may contain overstock merchandise. Loads may contain a mixture of cookware, glassware, silverware, pot and pans, small appliances, sheets, towels, comforters, bathroom accessories, and many other Household Items. FOB New Jersey, Florida, California and many other shipping points. All new Overstock Housewares and Tabletop Gifts from High-End Dept Store Code #3: Huge selection of high-end brand names: Krups, Delonghi, Tools of the Trade, Hoover, Gibson, Revo, Meyer, Circulon Styne, Anolon, Farberware, T-Fal, presto, Elements, and others. Pallets may contain a mixture of cookware, glassware, silverware, pot and pans, small appliances, and many other household items. FOB Florida and many other shipping points. Please call for more details. Department Stores Brand-Name Housewares, Luggage, and Table-Top Gifts: Huge selection of kitchen items, picture frames, silverware, crystal, gifts, kd furniture and much more Your cost is as low as $595 per pallet. Minimum order is 3 pallets, or buy 3 pallets and get 1 pallet FREE! FOB Florida. 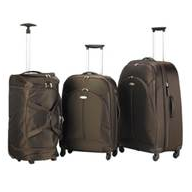 Department Store Code # 25 Luggage: Huge selection of High-End brand names: Chaps, Nine & Company, Ricardo Santa Cruz, Samsonite, Sonoma, Ridgewood, Dockers, Skyway Vision, American Tourister and may more. Each truckload contains 24 pallets. FOB Florida or Ohio. LG Appliances Loads: New overstock and some returns. Huge selection of high-end washers, dryers, refrigerators and more. FOB Miss or TN. Please call for merchandise availability and the lowest prices. Super Value!!! 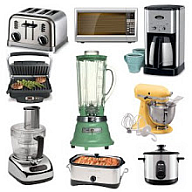 All New Small Kitchen Appliances: These small kitchen appliances are overstock and all in original boxes. 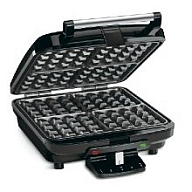 Huge selection of small kitchen appliances such as coffee makers, blenders, food choppers, George Foreman grills, toasters, juicers, and many others. Each lot contains approximately 200 assorted items. Your cost is as low as $2900 per lot. FOB New York. 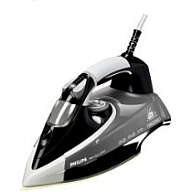 Brand Names Small Appliances: Huge selection of brand name of small appliances such as: Sunbeam, Oster, Rival, Crockpot, Holmes, Bionaire, Mr. Coffee, Health o Meter, Food Saver, Seal a Meal, Danby, and many more. Loads may contain an assortment of: toasters, toaster ovens, hand mixers, stand mixers, juicers, bread makes, crock pot, microwaves, cookers, electric grills, air conditioners, deep fryers, skillets, ice cone makers, popcorn makers, irons, roasters, rice cookers, steamers, blenders, sandwich makers, and much more. Each load contains 48 pallets. Special deal. FOB Florida. Also sold by the pallet. FOB Florida. Won't last long, order now and get the best!!! Super Deal!! !